Photography isn’t only about seeing something and then making a photograph of it. It’s also about movement, moving in and around as you feel the qualities of the place you are in open up your mind to the other possibilities the image presents; the what if… moment. For me that’s part of the joy of seeing. I love the expansive experience of recognizing the potentcy of even such small scenes as these two below. What was it that drew my attention? 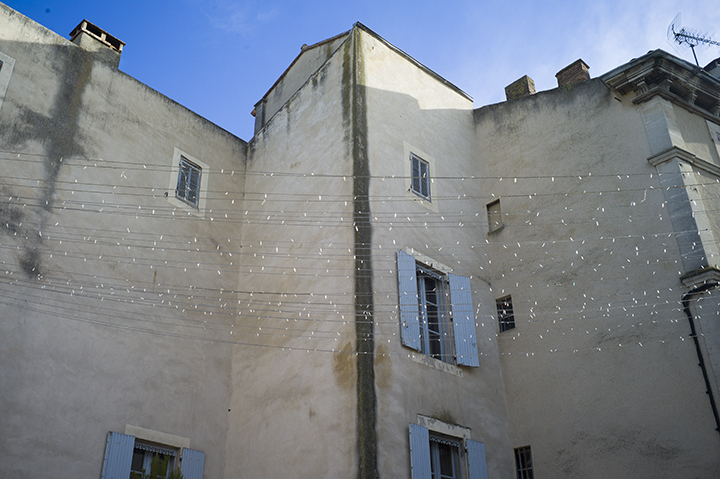 A tinkling of sunlight on Christmas lights seen against a classic French village building caught my eye, and then they pulled me forward to look more carefully, and of course everything changes with every step one takes. 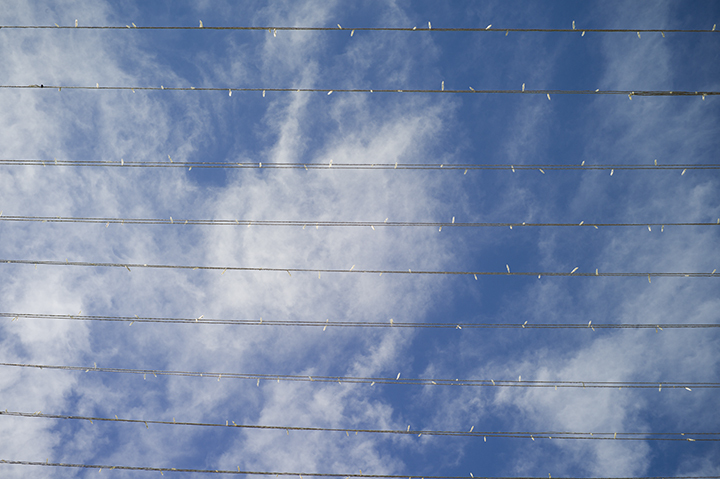 20 feet further on I looked up at the lights and saw them dance against the sky. None of this is of any great significance in the larger scheme of things. But for a moment, once again, the world offers its bounty, and I am grateful. This entry was posted in Uncategorized and tagged France, lights, Provence, sky on January 4, 2015 by joelmeyerowitz2014. This blog is quickly becoming a highlight of my day. Thanks again for sharing. I agree with Mark. I recently started my own photo 365 project. Where I shoot, edit and upload one photo a day. This will keep me going. Thanks Joel. I get to start 2015 with my new copy of Taking My Time and this daily blog, wonderful! One of my obsessions when I started as a photographer myself was looking constantly for something worthy of being photographed. But later on I realized you find it, it’s not a search but an encounter. And it all depends on your own sensibility.